The line of contact (LOC) has become more coherent and defensible. Neither side appears capable of taking significant additional territory unless Moscow dramatically increases the scale and nature of its involvement. The Kremlin appears to have concluded (correctly, I believe) that an escalation of its military involvement in Ukraine would undermine its geopolitical objectives, notably by precipitating an increase, not a decrease, in NATO hard power on its eastern flank. What I want to do is this post is elaborate on the first three points. I will take up point 4 in my next post. While there has been regular small arms and mortar fire, as well as occasional tank and artillery exchanges, to the west, northwest, and north of the Donetsk airport, the fighting has not produced many casualties since the fall of Debaltseve in February. Nor has either side managed to seize much additional territory. The other hot spot has been the area to the east and northeast of Mariupol, particularly the town of Shyrokyne on the Sea of Azov. The fighting there has been regular, sometimes significant, but its intensity has likewise diminished since February. 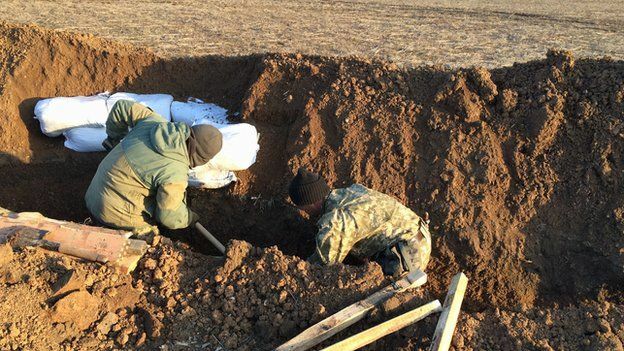 The separatists have managed to retake most of Shyrokyne and have occasionally shelled Berdianske, a small settlement to the town’s west, but the Ukrainians have been raiding and shelling its western sections in an effort to deny the separatists complete control of the town. Representatives of the OSCE’s Special Monitoring Mission (SMM) have been trying to arrange a ceasefire there between local commanders, and with luck those efforts will pay off. It is very difficult for the SMM, let alone outside observers, to be confident that all “heavy weapons” are being withdrawn from the LOC in accordance with Minsk II. What can be said, however, is that significant numbers of heavy weapons have been observed (and are checked using serial numbers) by the SMM in various holding areas, and that the use of heavy artillery and MLRS fire all along the LOC is much less than in the period prior to Debaltseve. Finally, the decrease in the intensity of fighting is reflected in the fact that neither side has managed to take much territory since Debaltseve, as suggested by the Ukrainian conflict zone maps below. In the north, the LOC runs from the Russian border along the Seversky Donetsk River for about 100 km until it gets to east of the town of Krymske (Ukrainian controlled – see map). 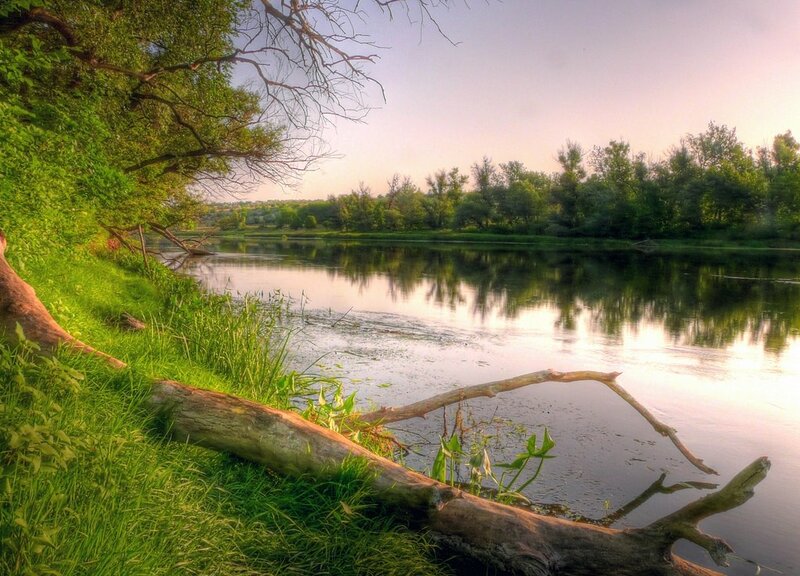 The fact that the Ukrainians agreed to allow the repairs to proceed suggests that Ukrainian military commanders are confident they can defend their side of the river. Regardless, it would be very difficult for the separatists to cross the river and establish a beachhead on its northern side, so I think an offensive in that direction is particularly unlikely. From Krymske, the LOC turns southwest for about another 100 km or so, leaving the Vuhlerorskoi Reservoir to its north until it approaches Horlivka (see map). This is a rural area with towns and villages clearly on one side or the other of the LOCs. 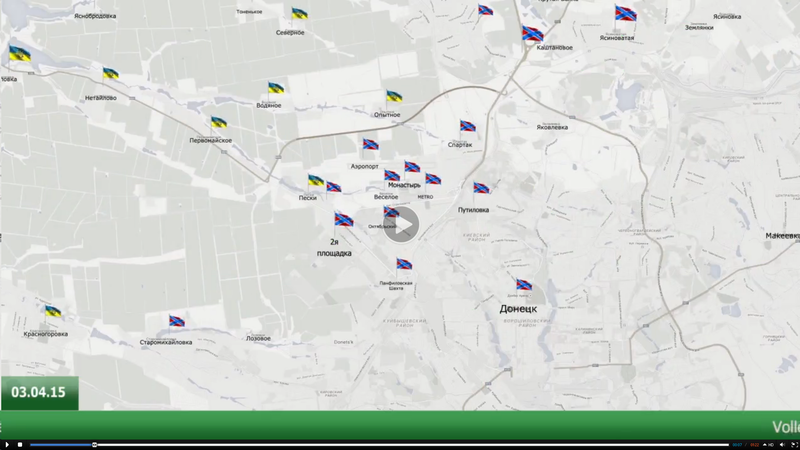 Additionally, it warrants noting that the separatists did not attempt to take the towns of Svitlodarsk and Luhanske on the south side of the reservoir (see map) after Debaltseve. 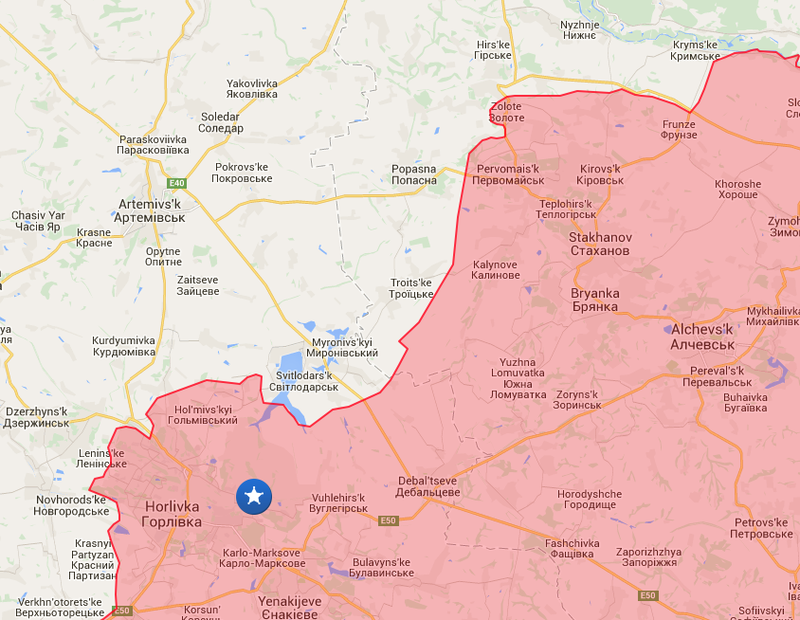 Once the LOC gets to the outskirts of Horlivka, it passes close to smallish suburbs of the city and then passes on to suburbs northwest of Donetsk and the heavily contested towns of Pisky, Spartak, and Optynye (see map). 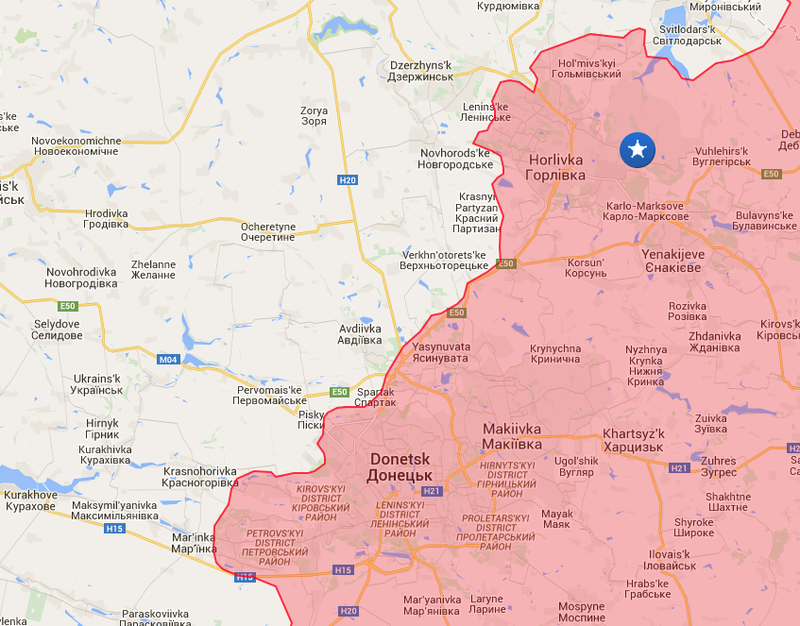 Continuing south and then east around more Donetsk suburbs, the LOC passes through the eastern outskirts of the town of Marinka (see map). From there, it runs for another 70 km or so, again through a lightly populated rural region with towns and villages on one side or the other (a possible exception is Olenivka, which had a prewar population of around 5,000), until it gets to the Kalmius River (see photo) near Hranitne (government controlled). Finally, it follows the Kalmius about 50 km south to the Pavlopiske Reservoir, and then another 20 km or so to Pavlopil (Ukrainian controlled) at the southern end of the reservoir. 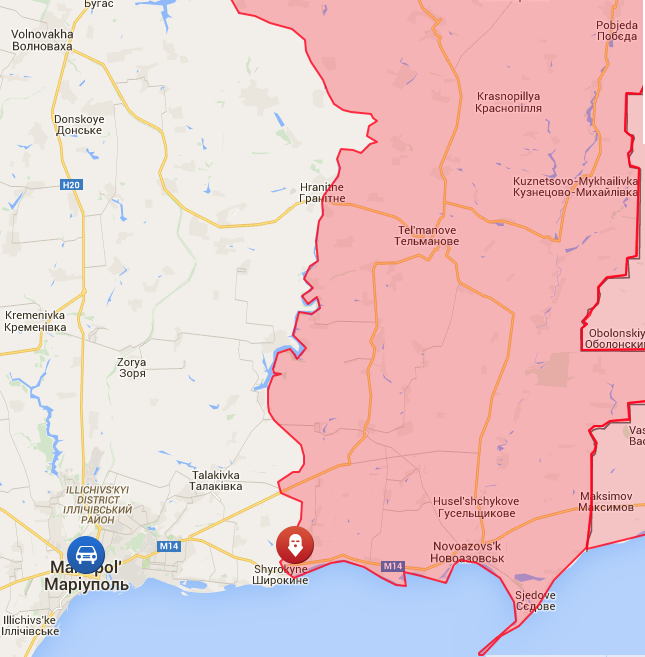 From Pavlopil it continues south through mostly rural areas, ending at Shyrokyne on the Sea of Azov (see map). To sum up, as much as a third of the LOC runs along either the Seversky Donetsk River or the Kalmius River/Pavlopiske Reservoir, which facilitates both demarcation and stability. Another third or so runs through rural areas, with nearby villages and towns to one side or the other. There demarcation is difficult where there is an absence of clear geographic features, but at least combatants are defending entire villages and towns, typically using road checkpoints to signal control, and are not intermingled in populated areas. As a result there is less risk of civilian casualties if low level fighting continues. 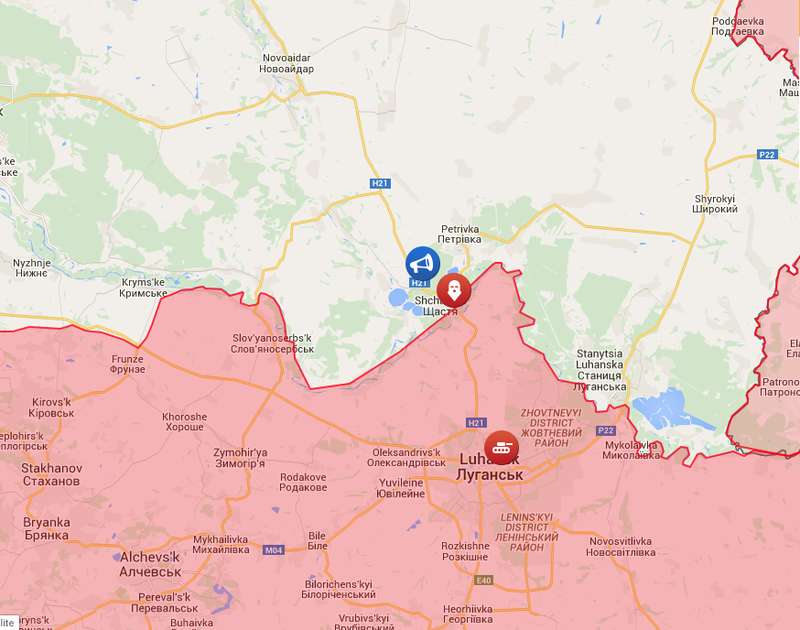 The most problematic area is where the contact line runs from the northwestern suburbs of Horlivka to the east of Donetsk and its suburbs of Spartak, Opytne, and Pisky. The problem there is that the separatists are apparently convinced, probably correctly, that for normal life to return to Horlivka and Donetsk, they will have to drive the Ukrainians out of those cities at least some distance to the west and north. It is additionally difficult to implement a ceasefire in the area because the contact line passes through, or near to, relatively populated areas. And finally, the Ukrainians appear determined not to cede full control of the Donetsk airport to the separatists. Nonetheless, if the two sides decide that a genuine ceasefire along the current LOC is desirable, the M04 highway provides a useful line of demarcation.at least for part of the way between Horlivka and Donetsk. Finally, I believe the Shyrokyne area is reasonably conducive to a stable ceasefire, again assuming that the combatants want one. Ukrainian forces have evacuated the town, with the separatists in control of its eastern half. 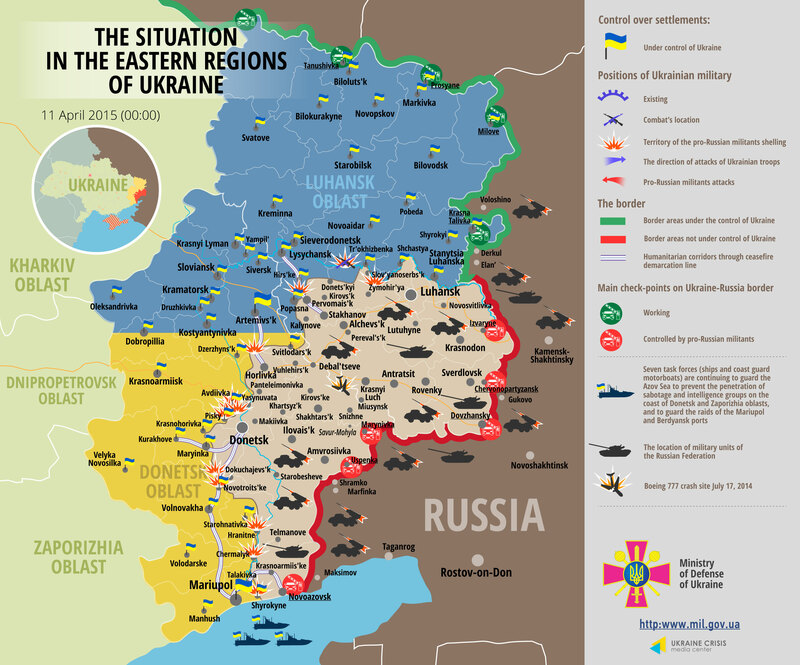 The Ukrainians have been trying to keep the separatists from securing the west of the town by engaging in small-scale incursions and light arms and tank fire. There are, however, fields for several kilometers to the town’s west, except for a thin strip of buildings right along the coast (see map). 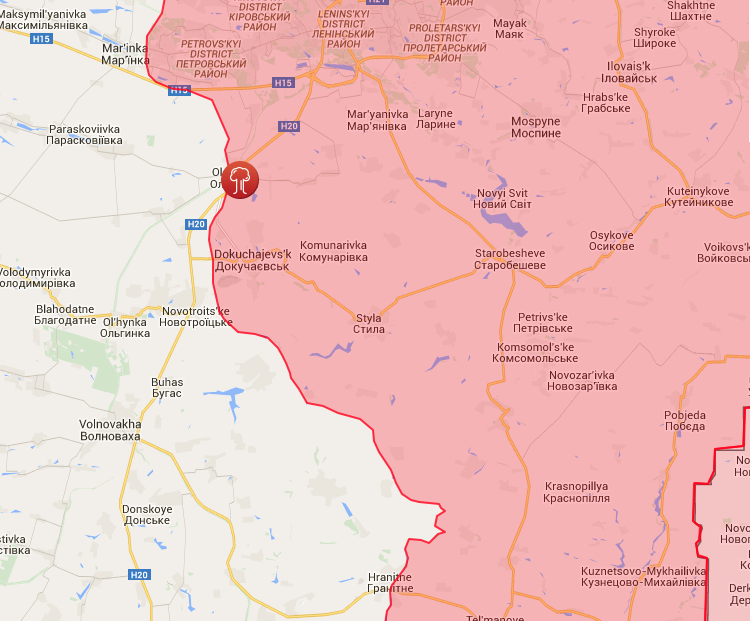 So for the most part an LOC passing just to the west of Shyrokyne could be stable and defensible. Two general principles have informed my take on the military aspects of the war since it broke out: (1) it is much more difficult to take, and even more difficult to secure, areas where troops are not welcomed by the local population; and (2) it is extremely difficult to take urban areas (and the larger the urban area the more difficult), particularly for irregular forces or regulars who lack specialized training in urban combat. In the Donbas, I believe the separatists are going to find it increasingly difficult to push forward from the current LOC as they confront an increasingly unsympathetic local population. A great many fighters on the Ukrainian side – perhaps even a majority – are Russian-speakers from eastern Ukraine. Moreover, while few civilians living near the line of contact in Ukrainian-controlled territory appear supportive of the current government in Kyiv, they are certainly aware of the awful living conditions in the separatist zone, and they are not going to want war to come to the neighborhoods. I also suspect that few are any more sympathetic to the current DPR and LPR authorities than they are to the authorities in Kyiv. 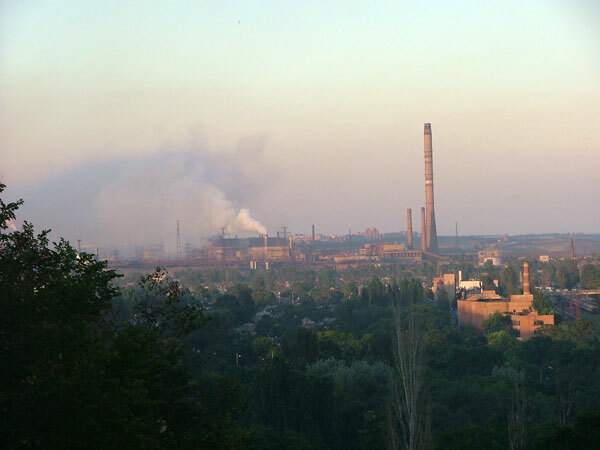 Severodonetsk (prewar population around 120,000), which is about 30 km north of the LOC and the site of a large chemical complex (again very difficult to assault). Somewhat farther from the LOC are numerous other urban areas, including smallish cities such as Kramatorsk (prewar population around 165,000), Slavyansk (prewar population around 117,000), and Krasnoarmiisk (prewar population around 65,000). And there are a great many towns bigger than Debaltseve (prewar population of around 5,000) that would have to be taken as well. 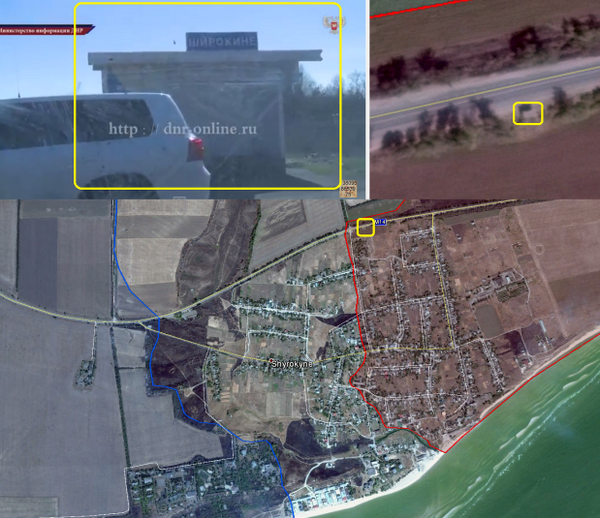 Finally, there is Mariupol on the Sea of Azov, where Ukrainian sources fear a major assault. Mariupol is a medium-sized city with prewar population of around 470,000. It has smallish port facilities but extensive industrial works, including steel mills and chemical plants, ship repair facilities, and a railroad junction. 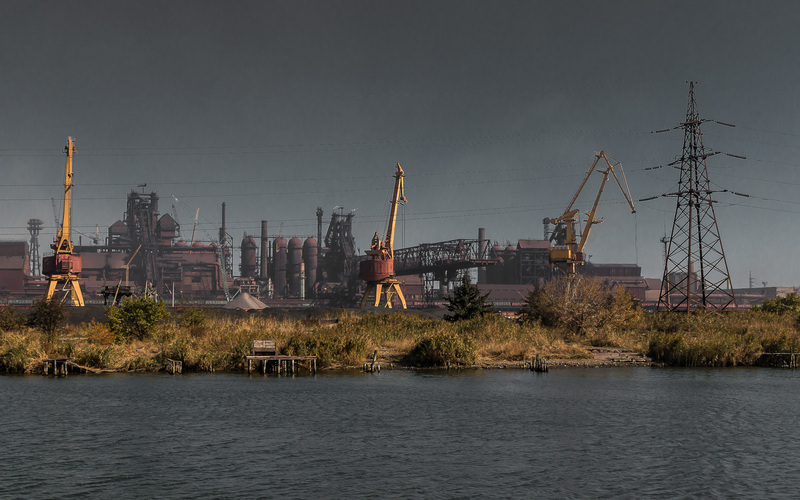 It is home to Ukraine’s second largest steel and iron works, the Mariupol “Ilyich” Metallurgical Combine, which had tens of thousands of employees before the war. 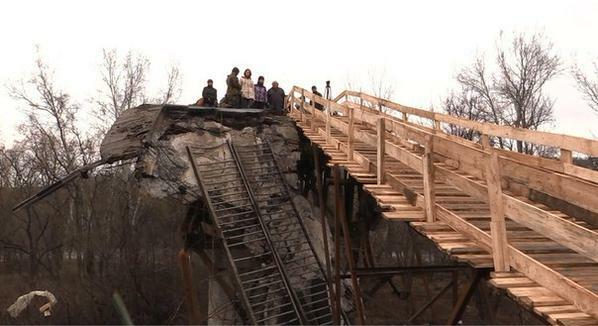 The Ukrainians have been building up their defenses in the city for months. These now include several lines of outer defenses of trenches and bunkers, with dug-in tanks. Minsk II required the Ukrainians to withdraw heavy artillery and MLRS systems to the west of the city, but I suspect they have relocated them to well-entrenched firing positions in range of the city’s eastern outskirts. There are also defensive positions within the city limits. I also suspect that the Ukrainians are preparing for street fighting in the city if it comes to it. Mariupol is thus going to be particularly difficult to take from determined defenders. No doubt Russian military planners, with their memories of Stalingrad, are very much aware of that. So too are the Ukrainians, who will defend the city tooth and nail if it comes to it. To put a possible separatist (or Russian regular) assault on Mariupol in perspective, it took almost four months (late September to late January) of intense fighting for the separatists, with direct support from Russian regulars, to take Donetsk airport. It took another very large force of separatists and Russian regulars the better part of a month to drive the Ukrainians out of the Debaltseve salient. And it took Iraqi regulars and militia, supported by Iranian military advisors and irregulars, and later by a great deal of U.S. airpower, to drive some 500 to 2,000 ISIS fighters out of Tikrit last month. Tikrit, which had a prewar population of around 250,000, was largely depopulated by the time the battle began. And the city is still not fully secure. To sum up, I think there is a chance that a genuine ceasefire will slowly take effect along the entire LOC. The more likely outcome, however, is continued light arms fighting for small towns and villages such as Kominternove, Olenivka, Marinka, Svitlodarsk, and Luhanske. Even more likely is continued fighting for Opytne, Spartak, Pisky, and Shyrokyne, unless and until the Ukrainians withdraw from those towns (which is very unlikely) or are driven out (also very unlikely), or until the two sides decide that continued fighting is senseless (more likely). What I don’t expect, given the cost-benefit balance, is a separatist attempt to seize larger towns and cities such as Avdiivka, Artemivsk, and Severodonetsk. Again, while these are considerably smaller than Mariupol, attacking them would nonetheless produce many civilian casualties, with all the attendant local and geopolitical consequences. For the first time in this war, it would be the separatists, not the Ukrainians, who would be trying to seize, and then secure and govern, significant urban areas. Given how long and difficult it was for them to secure the Donetsk airport and Debaltseve salient, they would probably be unable to do so without another surge in Russian military involvement well beyond what we saw in January and February. Even less likely is a separatist effort to take Mariupol without the support of a great many Russian regulars. The effort would almost certainly fail, given the size of the city and what would very likely be fierce Ukrainian resistance. But even if they did somehow manage to take the city by themselves, the costs would far exceed the gains, for reasons I will spell out in my next post. To take Mariupol, then, would almost certainly require the open involvement of Russian regulars and the use of airpower, which would mean Moscow might as well use naval forces as well. Even then, securing Mariupol would likely take weeks and possibly months. I don’t think Russian military planners could count on success even then, given the strains that the Russian military is already under from its Ukrainian operations and simultaneous efforts to intimidate NATO. At the least, a Russian assault would produce a great many civilian casualties, which of course would be thoroughly covered by the international and social media. Finally, pushing beyond Mariupol to establish a land corridor to Crimea would be an even more ambitious military undertaking, leaving Moscow with an extremely long line of contact that would be difficult – and costly – to defend.